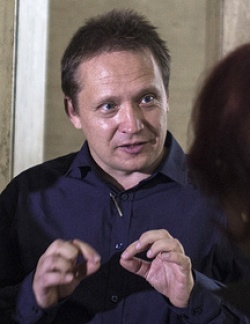 Nikolay Koblyakov (Nikolai Kobliakov – Николай Кобляков) is a Russian ex-pat activist with residency in France. He travelled to Bulgaria for holidays and was subsequently arrested by the boarder police due to an extradition request issued by Russia. Articles were published in English, French and Bulgarian, and it is about time too. Possibly people haven’t taken notice previously, however many people have been arrested at Bulgaria’s boarders due to flimsy and obviously politically motivated Interpol arrest warrants. The countries of sway over Bulgaria seem to be the former Soviet states with Russia being a major user of Bulgaria’s Interpol extradition requests. In 2008 Sergey, an ethnically Russian Latvian man entered Bulgaria for holidays. He entered Bulgaria with no commotion, no boarder guards told him that there was any legal issue with his entering Bulgaria or subsequent departure. However after a week or two when Sergey tried to leave Bulgaria the bells and whistles went off at the airport and Sergey was arrested due to an extradition request from Azerbaijan. This has happened more then once, when a person has entered Bulgaria without a problem but upon attempted departure they are then arrested for an Interpol request that presumably had been issued long before said person entered the country. Sergey travelled all over Europe and as his passport was scanned and checked never once was he stopped or arrested due to the Azerbaijan arrest warrant. Alternatively the Azerbaijani authorities were informed that he had entered Bulgaria and knowing that Bulgaria was a friendly state towards them only then issued the extradition request. Both explanations are worrying and an obvious misuse of the Interpol system. He was immediately arrested in Bulgaria and placed in remand detention, Bulgaria having some of if not the most horrible remand prisons in Europe. Sergey was told that there was a 40 day limit where the whole problem would be reviewed and resolved, either he’d be extradited to Azerbaijan or he’d be freed. The judge ordered that Azerbaijan fax the relevant court material. Sergey was wanted in Azerbaijan as he was accused of being in a group of defrauders who had defrauded a company, actually the other men in the alleged group claimed that Sergey was the boss of the entire group. The rest of the group of about 3 or 4 men had been arrested and convicted in Azerbaijan where they were serving their sentences when Sergey was arrested in Bulgaria. Azerbaijan did not send the relevant documents relating to Sergey’s accusation and extradition. Sergey then presented evidence to the Bulgarian court that Azerbaijan was notorious for torturing their accused and convicted. The Bulgarian judge questioned the prosecutor as to the accusation of the accused that Azerbaijan was torturing accused, the subsequent decision of the judge was that as Azerbaijan had signed an international convention against the torture and mistreatment of accused and prisoners there was no way that Azerbaijan could do such a thing the Sergey. Obviously despotic and wayward states never admit that they abuse human rights and normally to the contrary they often claim to champion human rights through signed treaties and conventions that are very rarely implemented or enforced. One day Sergey was in a panic, his face was red and he was sweating profusely. His lawyer had told him that indeed all his co-accused in Azerbaijan had been tortured, including beatings and starvation and this was how his co-accused were forced to confess which lead to their convictions. It was also why the co-accused in Azerbaijan had all claimed that Sergey was the leader of their “gang” as he had left the country several days before their arrests and they thought to stop the torture they could all blame Sergey as he was out of the reach of the Azerbaijani torturers. Then came an amazing blow to the Bulgarian judge’s claim that “Azerbaijan had singed a convention prohibiting torture and therefore would not and could not torture people”. The original conviction of the group of men in Azerbaijan was overturned on appeal. The reason being as cited by the Azerbaijani appeal court themselves was that the confessions had been extracted due to torture and therefore the original conviction was fraudulent. And still Azerbaijan did not send the needed files that Bulgaria requested for Sergey’s extradition. If Sergey thought the 40day time limit was to be respected by the Bulgarian authorities he was going to be sadly mistaken. Every court hearing the prosecutor announced that Azerbaijan had still not sent the case files needed to make a ruling on extradition and despite the Sergey’s lawyer pointing out that Azerbaijan had a 40 day time limit, the judge made blasé declarations “oh we’ll wait a little longer” and the next scheduled court hearing would be after 2 or 3 months. This happened on more then one occasion. Eventually Sergey stayed over a year in Bulgarian remand prison before the Bulgarian judge finally gave up on the prospect of Azerbaijan ever sending the appropriate documents for extradition. However the nightmare didn’t stop with Sergey’s release from prison. He spent a few weeks in Bulgaria regularly visiting the Latvian embassy to get all his travel documents in order when he again tried to take a direct flight from Bulgaria-Varna to Latvia-Riga he was arrested due to an outstanding arrest warrant issued by…… Azerbaijan! Sergey tried to explain to the boarder police that he had already jumped though all the hoops and he had been cleared of the Interpol extradition request and was free to go, he showed them the court decision that stated as much. But the boarder police simply put their hands in the air and said “the computer says we have to arrest you, so it’s not our decision, the investigator will decide” the police investigator came and Sergey explained the situation again, and again showed the court decision, the police investigator said “because it is on the computer it’s not my decision, the prosecutor will decide” where was the prosecutor? It was a Friday and the relevant prosecutor wasn’t going to be coming until Monday! So Sergey waited the 3 days in the Varna airport jail, which is obviously not equipped for long term stay but as it has a toilet and running water it was remarkably better then where he had spent him time in the remand prison. Monday came and the prosecutor did too, he again explained his situation, the prosecutor said “even if you are telling the truth we need an official copy of the decision sent to us by the Sofia Court, you can not supply us with a copy of the court decision yourself, it could be a fake” needless to say the copy from Sofia Court took almost 2 weeks, another 2 weeks spent in prison simply due to the ineptness of the Bulgarian Justice workers, it should have taken 5 minutes to confirm if Sergey was telling the truth or not. Even after his second release he was again not compensated for his missed flights, hotel bills or wasted life in Bulgarian prisons, especially as Bulgaria had already deemed him a free man. It took another 6 months of the Latvian Embassy harassing the Bulgarian Prosecutors Department to confirm officially that the Azerbaijani extradition request had been erased from the Bulgarian boarder computers that he was finally able to return home to his family in Riga. The nightmares continue, and this time it is specifically Russia. In the last 4 years I personally know of 3 men arrested by Bulgarian authorities to be extradited to Russia, the motivations for which are at best suspicious. The real problem (more then the question of the innocence of the accused) is the Bulgarian mentality towards fulfilling all of Russia’s demands to the point of blind bigotry. Around July 2009 Aslan, a Chechen man with refugee status protection in Germany came to Bulgaria for holidays with his family. He was quickly arrested at the border and held for extradition to Russia, he was accused of helping Chechen rebels in the early 90’s logistically. In the context Aslan’s story is one of the best out of all the Bulgaro-Russo extradition nightmare stories. The first court approved his extradition to Russia, despite the fact that he had refugee status given to him by Germany, where he had lived for the past 20 odd years. eventually on appeal the extradition request by Russia was rejected under the grounds that Aslan WAS a refugee from Russia, but the German Consul had to personally intercede on Aslan’s behalf pointing out to the appeal judge that Aslan’s German refugee status in his Russian passport declared in large letters to the effect “not to be allowed to travel to Russia”. Aslan was kept in Bulgarian prison the entire time of his court hearings which laster over 6 months before he was freed, the Germany embassy came quickly with travel documents so that he could literally flee Bulgaria and return to Germany. In 2010 as Georgia still smouldered from the Russian incursion a Georgian man (somewhat aptly named) Georgi travelled to Bulgaria for holidays with his wife when he was arrested due to a Russian Interpol extradition request. Russia had accused him of embezzling a fairly small amount of money. However Georgi claimed that the accusation was trumped up due to his membership in the ‘Veterans of Afghanistan’ political party, a party that had posed a threat to Putin’s hegemony over Russian political life and was subsequently outlawed. One of Georgi’s Russian colleagues from the same party was taken from his home in Russia by the local police and died in their custody, the police claimed it was due to a heart attack, but the body had been badly beaten and even if it had been a heart attack that killed him there can be no doubt that the beatings and mistreatment from the police was a direct cause of the heart attack. After the death of this Afghanistan Veteran Georgi packed up their entire house together with his Russian wife and they fled to Georgia, where Georgi had family. While Russia had soldiers on the ground in Georgia and bombs falling from the air, Georgi kept a well known blog detailing Russian atrocities against the civilian population and specifically the bombing of civilian homes. Georgi and his wife left Georgia to travel to Bulgaria via car for holidays on the Black Sea. Upon leaving Georgia, Georgi asked the Georgian police if there was any threat from Russia if he travelled outside of Georgia, the Russian incursion into Georgia was still recent. The Georgian police checked and confirmed that there was no outstanding warrants or inquiries from Russia. what is interesting is that he drove by car through Turkey to get to the Bulgarian border. At the Bulgarian border he was arrested due to a Russian Interpol arrest warrant (extradition request). Now why wasn’t Georgi arrested in Turkey? Also why was the extradition request not known to either Georgi or the Georgian authorities? There are two explanations, the first is that Russia gives an Interpol request to all states and most if not all states ignore the requests, but more likely is he second option and that is that Russia gives Interpol extradition requests ONLY to Bulgaria where they know they have a pro-Russian judicial system. In this way, people who would otherwise obviously be protected by asylum in most states are not in Bulgaria. A perfect example of this is the case of Mohmad Gadamauri. Mohmad Gadamauri, Chechen national – Russian citizen, residing in Germany with both German and Polish refugee status. Mohmad travelled from Germany with a car to the Black Sea for holidays with his family in 2012. Upon reaching the Bulgarian border he was arrested due to a Russian extradition request (Interpol warrant). Immediately he was held in remand prison without bail or home arrest. He was hand cuffed and paraded in court in front of the Bulgaria media. Russia claimed that he had provided logistics to the Chechen rebels in the early 90’s. But from this time Mohmad fled Russia and was granted asylum in Poland and then later in Germany. The Bulgarian courts ruled that he SHOULD be extradited to Russia, despite his asylum status in 2 European Union member states. Obviously Bulgaria must respect the legal grounds of the asylum status granted to Mohmad by both Poland and Germany. However it became extremely apparent in the Mohmad case just how much pressure there is over the Bulgarian judicial system to appease Russian requests. In total contradiction to all known conventions and laws the Bulgarian courts ruled that he should be extradited to Russia, it wasn’t until a ruling by the European Court of Human Rights that the extradition was subsequently quashed. However the entire process took over 2 years and Mohmad was kept in prison for the entirety of that time. Mohmad was and is obviously a refugee with the status given in both Poland and Germany, why should a refugee in Europe be treated as a common criminal in Bulgaria and paraded in court by the Bulgarian authorities like a fisherman displaying his catch? If the infamously bad conditions of Bulgarian prisons wasn’t enough to suffer unnecessarily for over 2 years during his time in prison he was also assaulted by a guard. To rub salt into the wound the Bulgarian prosecutors office even refused to release Mohmad after the European Court of Human Rights ruled that he cant be extradited, claiming that the ruling didn’t come into effect for 3 months, this is technically true but this time limit is designed to give the state (Bulgaria) time to appeal, however even knowing they weren’t going to appeal they still refused to release Mohmad, to keep him in prison just the little bit more. Presumably this was to appease Russia who would report favourably on Bulgaria incarcerating those who have fled persecution from Russia. Possibly the mentality is ‘well we can’t put him in a Russia prison, so we’ll keep him as long as possible for you in our prison’. Needless to say that when Mohmad was finally released he literally ran from Bulgaria with the German consular service having his travel documents prepared in a hurry. Not only did Mohmad flee Russia but he is now effectively a refugee from Bulgaria! Fleeing from persecution instigated by Russia, over 2 years of imprisonment separated from his home, family and freedom. He finally returned to safety in Germany in mid 2014. Bulgaria has still refused to apologise for incarcerating the refugee Gadamauri as a criminal. Bulgarian Interpol is being used as an auxiliary of the Russian state and intelligence agencies, its use as a Trojan in the European Union is well known. However there is a more dangerous function that the Bulgarian state has played and could play again in the future. A Greek man Nikos (not his real name) was wanted in Bulgaria, he was arrested in Greece and extradited to Bulgaria to serve a small sentence, however then Russia requested his extradition to Russia for alleged crimes there. Bulgaria didn’t hesitate to extradite this European Citizen out of the EU to Russia, a feat that would not have been possible if Nikos was in Greece or indeed if Nikos was a Bulgarian. European Union citizens if they are within their state of citizenship can not be extradited out of their country, unless however it is to another European Union member state, where however they are not afforded the same protection from extradition outside of the EU. The system is completely hypocritical, for if an EU citizen can be extradited amongst EU states as if the EU was a single entity, then why are EU citizens not afforded the same protections against extradition out of the EU to non-EU states. In this regard Bulgaria acts as a Russian Trojan, meaning that Bulgaria could extradite any EU citizen to be brought to Bulgaria where they would not be afforded the protection of extradition out of their home state and could easily be extradited to Russia or any other despotic state. The charge was “embezzlement”, a crime that allegedly took place between December 2004 and September 2005 in France concerning a company called Stankimport, now if the crime occurred within France despite the company being Russian the investigation should be of French concern and obviously France has not found Nikolai guilty of having committed any crime. Again what is amazing is that not a single European Union state acted on the Russian Interpol arrest warrant, namely because the EU knows Russian requests to be frequently false and politically motivate, but yet again Bulgaria will fulfil the role as the Russian proxy within Europe. Again, either other EU states weren’t supplied with the Interpol arrest warrant, which means that Russia knows that Bulgaria is the EU’s weak point or Bulgaria is the only EU state to fulfil the Russian arrest warrant. It is a typical manoeuvre of the Russian state when wanting to discredit and diminish the influence activists have within Russian society to accuse them of theft, sentences for which are contextually not large, of 3 or 5 years, however close to the completion of these sentences they are again charged and again incarcerated for another 3 or 5 years and by this way the Russian state can indefinitely imprison and discredit activists. The tactic is simple enough, disarm the activists practically by imprisoning them and at the same time reduce the possibility of them becoming martyrs by discrediting them. The Bulgarian Prisoners’ Association demands that the Bulgarian courts release Nikolai Koblyakov and that the Bulgarian security services cease arresting, detaining and extraditing those who have fled political persecution from Russia and other despotic states. The Bulgarian Prisoners’ Association calls on the French authorities to demand of Bulgaria that their resident is released, the French do not consider Nikolai a criminal, on the contrary he is highly regarded by those in the activist he works with, France would not accept the extradition of a French citizen to Russia for political reasons nor should they accept the detainment and extradition of Nikolai. The Bulgarian Prisoners’ Association demands of the EU that new laws be ruled in response to Bulgaria’s Trojan practices of extraditing EU citizens and residents outside of the EU, especially if they have been already extradited from their home state to a different EU member state. The Bulgarian Prisoners’ Rehabilitation Association has great news! After 2 years of lawyers, friends, favours, notaries, rubber stamps, taxes, fees, identity witnesses and the lawyer for the Association going to over 8 banks! We finally got a bank account for the Association! This means we can finally move on with the next step in the Association’s life. For what good is an association or union if it can not defend its own members! The plan is simple; money collected by international donations will be used to pay lawyers to represent prisoners. For example, a prisoner is punished for a mobile phone for 14 days isolation cell. The prisoners is illiterate (as roughly 80% are) and broke (as roughly 90% are). So said prisoner can not appeal the punishment order. That’s where the prisoners asks the Association to jump in. depending on the logistics and complexity of the appeal needed either a prisoner or a lawyer will write the appeal for the prisoner. Sometimes an appeal can be simple enough but then there is no way to guarantee that it will leave the prison and make it to court, so again a lawyer is needed in the capacity of a mail man. But appealing punishments doesn’t delay the coming into force of the punishment. So before the appeal is heard the prisoner goes to isolation. He does the full punishment of 14 days as is returned to general population where he then gets called to court. The judge overturns the punishment order but the immediate effect of the punishment was already enacted. So the prisoner can sue, but Bulgarian law is strange in that you must pay a % of the money you’re asking for as a deposit before submitting compensation requests. So you need money to ask for money, not to mention the lawyer fees. Compensation cases are not at all ‘just about money’. It is in our collective interest to see the state punished for ordering frivolous punishments in the hope that bureaucrats that make said orders are reprimanded and the states practices changed in regards to the running of the prisons. Up until now almost no one does or can sue the prison for wrongful punishment or for some other form of illegal order and so the prison administration continues to issue illegal orders with impunity. Even some prisoners are put in isolation fast as the prison knows that upon a court hearing the punishment will be overturned and no longer enforceable. Of course if we win the cases the money should come back to the Association by way of contract with the lawyers. But cases can take years to reach conclusion and then even more so in chasing the state for reparations. But time is on OUR side! Another issue is that the prison commits systematic violations of prisoners’ rights especially against prisoners with 1-2 year sentences; it can take the entire length of these prisoners’ sentences to get a court hearing or conclusion. Without a lawyer many cases are forgotten about once the prisoner goes free and so the prison in this way is allowed to repeat the same violations again and again. By employing lawyers the Association can help to stop systematic violations. Some cases are continuing despite the prisoner even being deported, which obviously the ex-prisoner could not do from Iran for example. Many victims of administrative violations are illegal immigrants convicted for illegal border crossing, most of whom are broke and do not understand Bulgarian which in itself is a major factor to violations, the lack of translators. The project will work on the basis that lawyers will be employed on a case by case basis. Although the lawyers will be getting paid there is an understanding that the Associations funds are limited and so they have been very accommodating in terms of fees. In this regard the lawyers work should be considered to be mostly voluntarily. The fee for appealing an order of the prison and defending a prisoner can be between 12€ and 50€, obviously there are some more complex cases that require a lot more detail and time, but the majority of the need lies within that cost bracket. Our goal is to raise about 3000€ which will see between roughly 250 and 60 prisoners defended yearly witch ranges from about 25% to 6% of the Sofia Central Prison population of 1000 prisoners, although we don’t want to limit ourselves to Sofia alone it is were we are the most organised. Obviously if we exceed out budget target more prisoners will be represented and we’ll also be able to take on more complicated yet often more substantial cases. Please help donate. Have a whip around, 5 bucks from 20 people or 10 from 10 and city by city all over the world the coffers will be easily filled. For those who can, a fun way would be to organise a party or mini concert and charge people for entry. This is a grass roots way to really make a difference in fighting for the rights of prisoners in the European Unions poorest country. Warning, money will not be used or given to/for a specific prisoner, donations are for the Associations’ uses not to be mistaken with a money transfer to a specific prisoner. Money sent by friends or family to a prisoner will not be facilitated by us! There have been numerous calls for some information to escape the prison walls of Sofia Central and I hope I can appease these requests for information although I am not sure what people will find interesting. Daily I am continuing my university degree via correspondence that was guaranteed after a 30 day hunger strike by the Ministry of Justice in May 2013. My marks are good and steady despite the lack of internet and source material. When I am not working on my university degree I am usually helping other prisoners with one problem or another. Recently a young Iranian convicted to 1.5 years prison for illegal immigration has had 3 months of his served time lost by the court authorities. The process to find these missing days held in remand and have them calculated as time served is long and arduous simply due to the sluggish nature of the Bulgarian courts and the inexperience of the state bureaucracy. I was told by the prison authorities (who of course refused to help the Iranian themselves) that I should write to the remand prison to have an account of his time served pre trial written up. I argued that it was not the responsibility of the remand prison to calculate time served and I argued that only a court could calculate time served. In the end to kill 2 birds I wrote to both the remand prison and the court asking them to calculate the time served for the young Iranian. 2 months later the remand prison replied that they would not even tell us how many days the Iranian had been held in their prison let alone help with calculating time served. So I was right and the prison authorities were wrong, however the situation is still not resolved as it’s almost 3 months and despite the 2 month reply limit for all requests in Bulgaria the court has still not replied in regards to the matter of the missing 3 months of served time. I said to the Iranian, “you’re lucky you have 1.5 years and you’re at the beginning of your sentence because you see it took 2 months just to have a rejection letter sent by the remand prison and 3 months and still no reply from the court”. 4 months served in the prison prior to me being aware of the situation, plus the 3 months waiting for the court to not reply and the 3 months in question served in pre trial remand, he now has 10 months served of his 18 month sentence. What’s my point? My point is that by the time the Bulgarian court gets into gear he could have finished his entire sentence and then some. This is a common enough occurrence in Bulgarian prisons, especially those sentenced under 5 years imprisonment. Over 6 years and the courts seem capable to handle the processing of convicts and their release dates, but under 5 years, especially those with 1-3 year sentences and possible there isn’t a single prisoner who is released when they should be. Of course as is the bureaucratic way in Bulgaria, ‘when in doubt the prisoner can do without’ meaning that if there is any doubt about anything it is better to violate the rights of the prisoner and have the problem sorted out later rather then guarantee the rights of the prisoner and possible make a bureaucratic error. This means the prison is more then happy to hold prisoners months over their release date as that is preferable to the possibility that a prisoner could be released early. My days are concerned with such matters; there are just too many prisoners to help. As this is the case I wanted to start with the Bulgarian Prisoners’ Association a legal aid umbrella, where the Association would pay lawyers to defend prisoners post conviction. In Bulgaria once you’re convicted there is little to no free legal help or defence. This means that prisoners are at the mercy of the prison administration that more often then not orders punishments to prisoners arbitrarily according to the whims of the psychologically unstable prison administration. Although many of these orders decreed by the prison administration can be overturned in court, the vast percentage of prisoners are illiterate and even more don’t understand the laws at all. Without a legal aid program prisoners are left defenceless against illegal orders given by the prison administration. The idea is to establish good relationships between the Association and some sympathetic lawyers who would represent prisoners for reasonable rates on the understanding that clients would be constant and also with experienced prisoners in the Association sorting through the simple cases most of the riff raff will have already been sorted before the lawyer is even involved so as to minimize the work load. My grandeur plan, which was to start with a small budget of 3600€ a year (estimated between 144 and 72 prisoners represented a year) which we have been working on for I think about 2 years now has finally overcome the hurdle of opening a bank account. It was EXTREMLY difficult to open a bank account but as of June 2014 a lawyer for the Association was able to open an account after going to over 7 banks! All of which flat out rejected to even consider opening a bank account for the Association. The “check” into the guards collective punishment of mass assault on the 17th October 2013 was concluded by the Regional Prosecutor as not having enough evidence with which to start an investigation.. The Bulgarian Helsinki Committee helped to appeal the decision of the prosecutor, which by order of the Sofia City Prosecutors’ office was granted and the “check” was returned back to the beginning. Now I say “check” as it’s not an investigation, the legal process of “checking” carries with it very few if any rights for the victim or guidelines established by law as to what an investigator can and can’t do. In typical form the second “check” is being carried out by the same investigator who conducted the first “check” whose conclusion was overturned. If it was an investigation, the process would have to be undertaken a second time by a new investigator, but as it is only the repeat of a “check” there is no such stipulation that the new “check” be carried out by a new investigator. There is no news on the transfer front although the social workers of the prison recommend me for good behaviour citations the Director of the prison Peter Krestev refuses to signoff on the recommendations of his social workers. So as the Director of Sofia Central Prison is constantly passing on false information to the Head Prosecutors office it is hard to differentiate between the political pressures asserted by the government over the Head Prosecutor Tsatsarov and the false information he officially basing his decisions on supplied by the Director of Sofia Central Prison. Please write letters to the Head Prosecutor requesting that he allow a transfer to happen, as serving my prison time in an Australian prison does not inhibit the goals of the conviction, but on the contrary it is a proven fact that goals of convictions are unlikely to be met by foreigners serving their convictions in foreign prisons and societies. Many thanks to those who have organised or helped to organise solidarity actions and fund raising activities for both myself and the Association. As usual I would like to thank my father and step mother for their constant support over the rough ocean waves of ups and downs. I don’t say it enough (or at all) but I love you very much and I am grateful for your constant support. A special thankyou to Brighton ABC who has supported me for well over 6 years now, they have been busy with their own problems but have always made time to help me. To Panagiotis Argyros, DamianoBolano and Gerasimos Tsakalos in Greek prison, may their sacrifices never be forgotten and their resistance echo through time and may the Greek capitalists always look over their shoulders. On Thursday the 5/9/2013 a Syrian man convicted to a year in maximum security prison for illegal border crossing was pardoned by the President of Bulgaria. Normally this would be a time of celebration and joy; however it has infuriated all the other illegal immigrants that are left in maximum security Sofia Central Prison. On Friday the 6/9/2013 about 40 illegal immigrants held a meeting in the prison’s yard during their scheduled time allowance, at first the prisoners refused to return to their block, but without physical confrontation the prisoners were convinced by the guards to return to their block. On Monday the 9/9/2013 Ahnas Duli a Syrian national was called before the temporary-Director of the prison and asked about the reasons for the protest and discontent amongst those convicted for illegal border crossings. Ahnas Duli informed the temporary-Director that they wanted to speak with the Minister of Justice, the temporary-Director told Ahnas Duli that the Minister of Justice would be informed, however no one actually believes the temporary-Director as he has lied on numerous occasions. Ironically the idea of lying to prisoners is to defuse the situation in that moment, but it only serves to compound the problem leading to more extreme and desperate acts of protest. For example the hunger strikes were ceased previously by the same people due to promises of discussion with the government, this lie made by the then Director Peter Krestev only served to increase frustration amongst the prisoners concerned and led to the events of the 6/9/2013 with a meeting and sit down protest which is considered by the prison administration an attempted riot. As would be expected security, repression and intimidation have all increased both from the guards and the prisoners who work for the prison administration against the interests of prisoners. On the 10/9/2013 the temporary-Director of Sofia Central Svetkov announced that all those convicted of border crossing will be released on parol, a promise that is widely considered a blatant lie so as to quell discontent amongst the growing percentage of prisoners. On the 23rd of April 2013 the Commandant of Sofia Central Prison entered the computer study room and with 2 other prisoners who work for the prison took 3 computers and cables. These printers were given by the European Union under the umbrella project of bringing Bulgaria and it’s institutions up to “European standards”. The completion of this comprehensive project totally funded by the European Union (EU) was compulsory to complete if Bulgaria’s ascension into the EU was going to be accepted. The project bringing a lot of Bulgarian institutions up to a minimum standard required for the EU was completed and Bulgaria joined the EU in 2007. The problem then is two fold. First, there is very little training of government institutions as to their responsibilities towards these EU funded projects and secondly no progress after the minimum standard has been acquired and worse the disintegration of the original standard acquired in 2007 due to lack of observation by EU institutions and the lack of continued funding by Bulgarian institutions. In specific, although the computer study room (which for the record has no internet) was supplied by the EU as a condition of entry into the EU, the then Director of Sofia Central Prison confiscated equipment essential to the functioning of the computer room. The Director’s motivation for confiscating equipment from the computer room, in specific the printers was that he believed that complaints against staff were being typed and printed in the computer room, specifically against several brutal beating by guards on prisoners that have been mentioned here previously. Now this is typical of the Bulgarian prison institutions, instead of dealing with the rampant human rights abuses committed by the prison staff, the first reaction is to suppress not the cause of the complaints but the perceived means by which the complaints are made i.e. the printers and computers. The whole scandal gets worse as the complaints against the prison staff were printed by lawyers and also with the help of the Bulgarian Helsinki Committee. After the confiscation of the EU donated property, several complaints were made to the European Commission to Bulgaria who forwarded the complaints to the appropriate EU organ in Brussels who then relayed the complaints to the Bulgarian Ministry of Finance who is the Bulgarian organ responsible for all EU donations both in terms of cash and gifts, such as the computers and printers. The Ministry of Finance then naturally contacted the Ministry of Justice to inform them of their planned inspection of the computer room in reaction to the several complaints received about Sofia Central’s handling of the equipment. The Ministry of Justice informed the ‘Head Directive for the Fulfilment of Punishments’ (The national organ for the administration of prisons in Bulgaria) that the Ministry of Finance were on their way for a check of the computer room. Immediately the Head Directive informed Sofia Central Prison and on Thursday morning 22/8/2013 the Commandant with his two helper prisoners returned the printers to the computer room prior to the impending check by the Ministry of Finance. The check came from the Ministry of Finance on Friday the 23/8/2013 the day after the printers were snuck back into the computer room. The printers and computer equipment was returned covered in sand and scratches from maltreatment. Several hours after the inspection came and left the Commandant with the two prisoners took everything back again at about 3:30 in the afternoon. This was witnessed by many people who immediately (again) informed the Ministry of Finance as to the deceit of Sofia Central Prison administration. The astonishing thing about this old trick was that it made clear that the Sofia Central Prison knew that taking the equipment was illegal in the first place, as if it wasn’t there would be no need for the show they put on for the Ministry of Finance. For unknown reasons the printers were returned to the computer room on Monday the 9/9/2013. It is unclear if they were returned due to pressure from the Ministry of Finance and the EU or if the Sofia Central Prison administration is putting on another show for another impending inspection, only time will tell.